Bring a retro accent to your decor with this adjustable height patina nickel pharmacy style floor lamp. This handsome, adjustable height pharmacy style metal floor lamp is inspired by vintage designs. A rich patina nickel finish adorns the round metal shade, base and round stand. A hard curve on the arm creates a magnificent balance of chic style and quality construction that will make this home accent a favorite for years to come. A cool retro look from Robert Abbey. Adjustable from 17 3/4" to 63 3/4" high. Arm extends from 42 3/4" to 62". Base is 12" wide. Round shade is 11 1/2" wide x 6 1/4" high. Uses one maximum 100 watt standard-medium base bulb (not included). Foot operated dimmer switch on the cord. 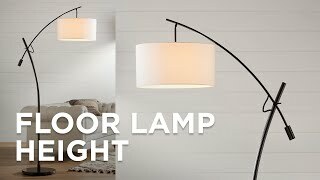 Albert modern industrial floor lamp. From the Robert Abbey brand. Pharmacy style lamp head adjusts easily for reading. Patina nickel finish. Metal construction. 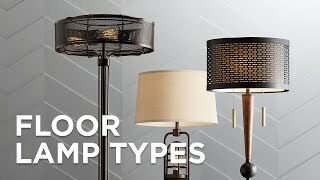 We like the shape, size and design of the lamps a lot. But for the high price, the packaging was horrible, the instructions were almost non-existent, and the adjustment features are a joke! The finish is very "cheap" looking, and really doesn't resemble nickel at all. 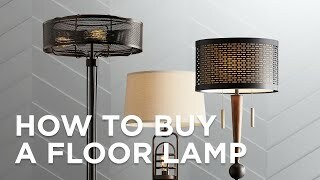 The lamp shade is heavy and there is no way to keep it adjusted at the level we want unless we pull the cord very tightly to keep it at the desired position. Otherwise, it droops and the light is less effective. There were almost no instructions, and one of the two lamps we bought didn't have a bulb or an adjustment wrench for installation. They should really be several hundred dollars lower in price, and not $620 each. Clean and contemporarythis metal floor lamp features a simple open geometric design in a bright nickel finish. Inspired design adds a white marble tray to this polished nickel floor lampoffering versatility to any sitting area. Soft and beautifulthe Multi Color Stripes pattern giclee shade perfectly complements the brushed nickel base of the Garth floor lamp.